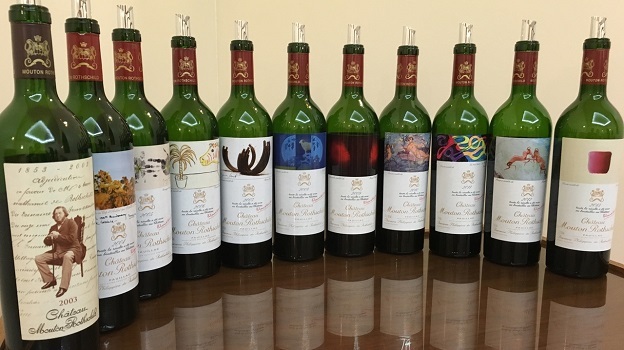 This remarkable vertical tasting at Mouton Rothschild encompassed all of the wines Managing Director Philippe Dhalluin has overseen during his tenure since he arrived at from Branaire-Ducru in 2004. During that time, Dhalluin has worked relentlessly to push quality everywhere from the field through to the new state of the art winery that became operational with the 2012 harvest. 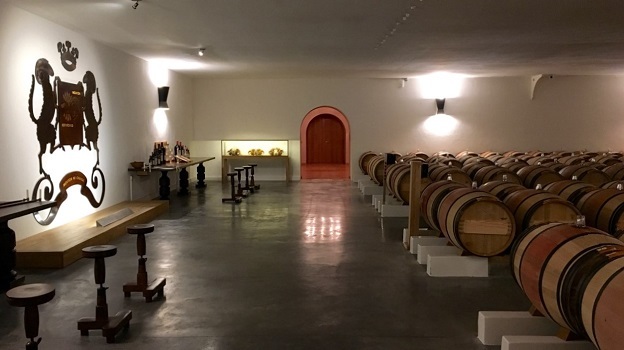 Most of the recent developments at Mouton are related, which highlights how interconnected the various aspects of making wine are. Patrick Léon, Dhalluin’s predecessor, harvested Mouton over as much as 40 days. One of the reasons for that is that the vats in the old cellar were large, and some years it took a certain amount of time to have enough fruit available at once to fill those vats. Today, the harvest at Mouton has been condensed to around 2-3 weeks, as readers will be able to see in these notes. The old cellar held 28 fermentation vats, each of them quite large, with a capacity of 225 hectoliters, or the equivalent of 100 barriques of wine. 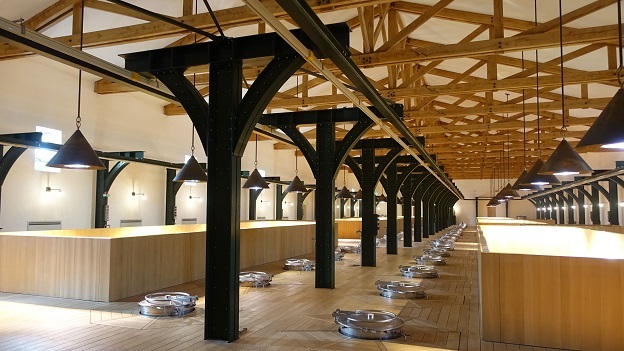 Today, 44 wood fermentation vats line the walls of Mouton’s new facility. Those vats range mostly from 147 hectoliters down to the 50-hectoliter vats that are used for some of the smaller parcels on the property. Dhalluin kept eight of the old vats, but he clearly favors the smaller sizes because of the flexibility they provide in harvesting the vineyard at the optimal level of ripeness, something that is especially important in this relatively warm, gravelly site. Interestingly, Mouton’s smallest vat, at 50 hectoliters, is considered large in many other regions, which shows the sheer scale that is common throughout Bordeaux. Dhalluin has also lowered fermentation temperatures and moved towards a gentler approach to winemaking, something that is made easier by working with smaller batches of wine. Lastly, the selection of what goes into the Grand Vin has never been more stringent. “Of course, we have to acknowledge that Patrick Léon made many stunning wines here without any of this technology,” adds Dhalluin with his trademark disarming humility as he pours the 1986 Mouton, an unexpected but thrilling conclusion to this fabulous and illuminating vertical tasting. Mouton Rothschild's 2015 is a wine built on finesse rather than power alone. Raspberry jam, spice, rose petal, pomegranate and blood orange make a very positive first impression. The 2015 is rich and intense on the palate, but never heavy. In 2015, harvest stretched from September 14 to October 2, a few days longer than normal. The blend, which was put together just before this tasting in late January 2016, is 82% Cabernet Sauvignon, 16% Merlot and 2% Cabernet Franc. 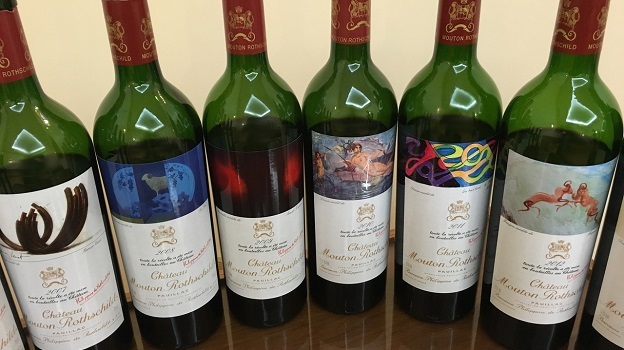 The 2014 Mouton Rothschild is polished, nuanced and super-expressive, even at this delicate stage. At the time of this tasting, the 2014 has been fined with egg whites and is finishing its aging in barrel prior to bottling, which is scheduled for July 2016. The silky tannins and overall nuance - both qualities that were very much in evidence a year ago - are still signatures. I can't wait to taste the 2014 from bottle. The 2013 Mouton Rothschild is delicate, pretty and nicely lifted throughout, with a Pinot-like purity to its fruit. A distinctly lithe Mouton, the 2013 should offer fine drinking over the next two decades, or so although it is certainly not a blockbuster. Bright red cherry, raspberry rose petal and blood orange are some of the signatures. Seventeen millimeters of rain at the end of the season caused an outbreak of rot and resulted in a compact harvest between September 30 and October 9. Because of the wine's mid-weight structure, Philippe Dhalluin brought the new oak down to about 80%. The 2013 is 89% Cabernet Sauvignon, 7% Merlot and 4% Cabernet Franc. This is the second vintage made in the new cellar. More importantly, the 2013 is far more impressive from bottle than it was from barrel. Approximately 45% of the crop was used for the Grand Vin. The 2012 Mouton Rothschild continues to open up nicely. Forward, open and quite expressive, the 2012 looks like a wine that will drink well sooner rather than later. Dark cherry, plum, graphite, smoke and mocha meld into the inviting finish. The 2012 is not a huge wine, but it will open up sooner than some of the surrounding vintages. Time has only been a help for this open-knit, distinctly fruit-driven Mouton. The 2012 is 90% Cabernet Sauvignon, 8% Merlot and 2% Cabernet Franc harvested during the first fifteen days of October. The 2011 Mouton Rothschild is dark, powerful and concentrated. Plum, grilled herbs, smoke, graphite and mocha are all nicely delineated in the glass. The effects of the hot, dry weather are felt in the wine's roasted flavors and hard tannins that reflect the heat stress of the season. I suspect the 2011 will have its day of glory once the tannins soften, but that day is a ways off in the future. Readers should expect to be patient with the 2011. The blend is 90% Cabernet Sauvignon, 7% Merlot and 3% Cabernet Franc, brought in between September 12 and 28. A wine of noble bearing and exceptional beauty, the 2010 Mouton Rothschild is a flat-out stunner. The aromatics alone are beguiling. On the palate, the wine is every bit as thrilling, with myriad layers of flavor that continue to open up in the glass. Graphite, gravel, smoke, plum, black cherry and savory herbs are all strikingly delineated throughout. Vivid and crystalline, the 2010 is a jewel of a wine, but it is impossibly young now. Readers who can be patient will be treated to a fabulous wine. Today, the 2010 reminds me of a more civilized version of the 1986. The 2010 is 94% Cabernet Sauvignon (the highest amount of Cabernet ever here). Dollops of Merlot round out the blend. Harvest took place between September 29 and October 13. The 2009 Mouton Rothschild is exceptionally beautiful. A huge, powerful wine, the 2009 possesses stunning richness and radiance, with plenty of underlying structure to support all of that exuberance. Smoke, grilled herbs, tobacco and incense give the 2009 much of its exotic, captivating personality. Seamless, opulent, yet with terrific freshness, the 2009 is sure to thrill those fortunate to own it for several decades. In a word: dazzling. The blend is 88% Cabernet Sauvignon and 12% Merlot. Harvest took place between September 23 and 6 October in a year marked with dry weather, higher than average temperatures and generous sunshine. After the 2009 and 2010, the 2008 Mouton Rothschild comes across as a touch slender. Lavender, smoke, grilled herbs and licorice add the closing shades of nuance in this delightful, mid-weight Mouton. In 2008, the blend is 83% Cabernet Sauvignon and 17% Merlot harvested between October 2 and 15. Two thousand eight is remembered as a highly variable year. Overcast skies finally opened in mid-September, which allowed the growing season to conclude on a high note. The 2007 Mouton Rothschild is a gorgeous wine, especially within the context of the vintage. Open, expressive aromatics and forward fruit make the 2007 an excellent choice for drinking now and over the next two decades or so. Although the 2007 is not an epic Mouton, it is without question one of the best recent vintages for current drinking. Smoke, tobacco, cedar and licorice add the closing shades of nuance. Warm weather resulted in an unusually early start to the growing season. Summer was not especially warm, but a hot, dry September pushed the raisins through the final phase of ripening. The blend is 81% Cabernet Sauvignon and 19% Merlot. Harvest took place between September 26 and October 11. The 2006 Mouton Rothschild is dark, powerful and intense, with firm tannins that need time to soften. This is an especially dark, somber Mouton. Dark black fruit, smoke, menthol gravel and cured meats are some of the signatures. Slight vegetal notes underpin the fruit. I am not sure the 2006 has enough freshness to be a long-term ager or the depth of fruit to outlast the tannins. The blend is 87% Cabernet Sauvignon and 13% Merlot, harvested between September 20 and October 5. One of the highlights in this vertical, the 2005 Mouton Rothschild is exceptional. Dark, powerful and explosive on the palate, the 2005 is endowed with magnificent depth and richness. Just at the early part of its drinking window, the 2005 is sure to drink well for many years from here, especially if it is given a little bit of air. The 2005 is a stunning Mouton, but it needs time to fully blossom. Harvest took place between September 21 and October 6. The blend is 85% Cabernet Sauvignon, 14% Merlot and just 1% Cabernet Franc. The 2004 Mouton Rothschild is supple, forward and inviting. Dark cherry, plum, tobacco and grilled herbs are all pushed forward. This is an especially succulent Mouton, partly because of the high percentage of Merlot that was common during this era. Gravel, pencil shavings, smoke and cured meats add myriad shades of nuance on the powerful, explosive finish. Philippe Dhalluin told me he waited as long as possible to harvest in 2004, the driest vintage Mouton had seen up until that point. The blend is 73% Cabernet Sauvignon, 14% Merlot, 11% Cabernet Franc and 2% Petit Verdot harvested between September 29 and October 15. A heady, exotic wine, the 2003 Mouton Rothschild takes hold of all the senses. The ripeness and exuberance of the year comes through in spades as this dramatic, opulent wine shows off its radiant personality. The 2003 can be enjoyed now, but it could also use another few years for the tannins to soften. Still, the 2003 is pretty hard to resist today. This is an exceptional, deeply satisfying Mouton endowed with notable richness but also exceptional balance. Hints of toffee, torrefaction and dark spices are laced into the finish. In 2003 the blend is 76% Cabernet Sauvignon, 14% Merlot, 8% Cabernet Franc and 2% Petit Verdot, all brought in between a fairly narrow window of ten days between September 15 and 25. 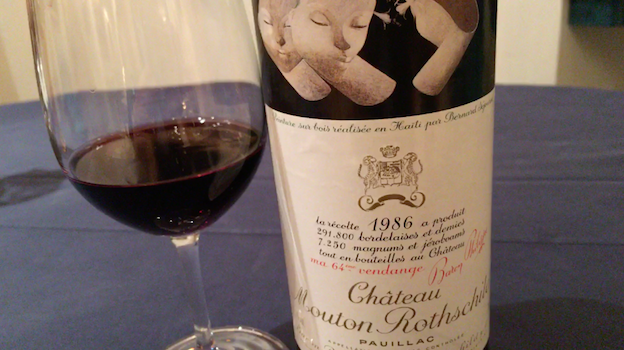 Philippe Dhalluin served the 1986 Mouton Rothschild to wrap up our vertical. The 1986 remains one of my favorite Moutons. A dark, powerful wine, the 1986 is endowed with a vertical sense of structure that is a marvel to behold. Dark stone fruit, smoke, graphite, mocha, soy and licorice are fused together in a marvelously intense, deep Mouton that promises to drink well for another few decades. Tonight, the 1986 is absolutely stunning. The blend is 80% Cabernet Sauvignon, 10% Merlot, 8% Cabernet Franc and 2% Petit Verdot. Harvest started on October 2nd and wrapped up on the 16th.